We do more than just provide you with a prescription for vision correction, we thoroughly check the internal and external health of your eyes including tests for cataracts and glaucoma. Our experienced doctors are fully licensed professionals. Our Opti-mart stores carry some of the best selections of frames in the area. There are hundreds to choose from and there is something for everyone, from traditional metal frames to designer and fashion plastic frames. 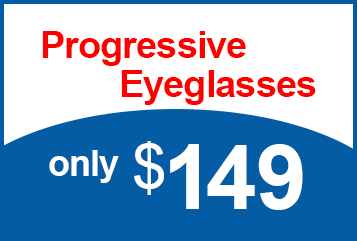 Progressive lenses allow the wearer to see objects both distant and close. However, progressive lenses have no visual line. 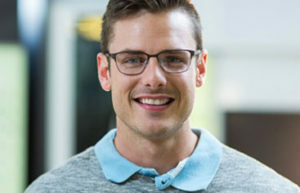 Progressive lenses provide a graduated range of vision, including distant, intermediate and close. 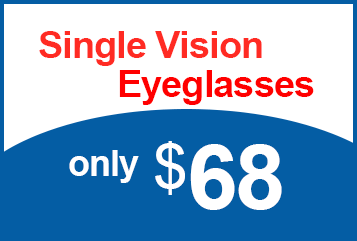 Opti-mart’s volume of prescription eyeglass business and buying power allows us to offer you complete prescription eyewear, including prescription sunglasses, at the best possible prices while still offering the highest quality. We custom craft your eyeglass lenses in our state-of-the-art central lab. Our dedicated and experienced group of optical technicians don’t believe in one-hour rush jobs. The eyeglasses you receive will exhibit the finest craftsmanship in the country. With over 45 years in the eye care industry, Opti-mart has the knowledge to provide you with the care you need for clear vision and healthy eyes. 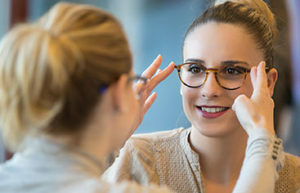 Our licensed opticians will help you select from our large selection of brand-name frames, eyeglasses and lens solutions to suit your specific vision needs. 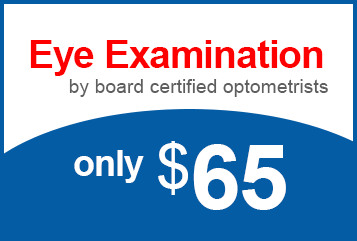 Opti-mart is committed to providing the highest quality eyeglasses and optical services. 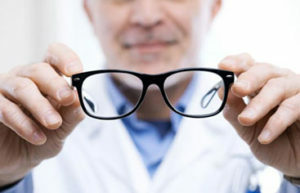 Our eye doctors and staff are sensitive to our customers’ needs, and devoted to their satisfaction. We strive to be fair, honest, courteous and professional in every way. We acknowledge our responsibility to the communities where our optical stores are located. By our leadership, active participation in the community and by the quality of our vision products and optical services, we can greatly contribute to better the communities that we are a part of.